In the post-Charter era, there has been a significant academic, and increasingly public, debate surrounding the role the Supreme Court should play in Canadian society. Since 1982, the Court has found itself at the epicentre of numerous controversial debates on its authority to interpret the rights of citizens, and whether this infringes on the autonomy of the legislature. Somewhat surprisingly, these attacks have consistently come from both the left and the right. This somewhat distinguishes the Canadian debate from its American counterpart, where support for the U.S Supreme Court tends to overtly shift depending on the political slant of its decisions. On the left, critics such as Michael Mandel, Allan Hutchinson, and Andrew Petter have criticized the Court for its failure to adequately address the needs of Canada’s marginalized peoples. This includes aboriginals, women, and most prominently, the lower classes. 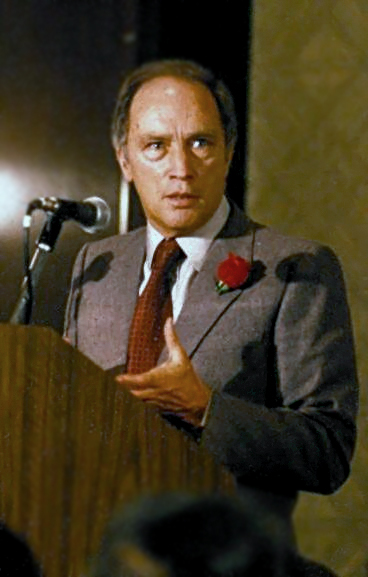 Many left wing critics see the Court, and even the rights embedded in the Charter, as ideological tools to maintain the essentially bourgeois liberal framework of Canadian society. The argument is that, by transferring political debates into the judicial arena, where privileged Justices are mistaken as guardians of the rights of all, left wing political movements have made a Faustian bargain that can only end in a tireless cycle of waiting and regretting the arrival of a truly just society. These left wing critics would prefer power be taken away from Judges and transferred to the legislature, where the expectation is that mass movements will have more long term success. 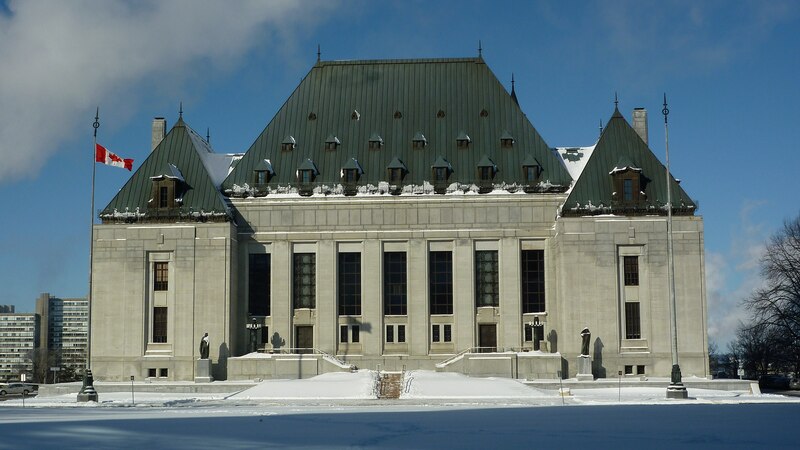 On the right, critics have been equally vehement about the Court’s role in pursuing a progressive “liberal” agenda through the Courts which would not receive the mandate of the more conservative legislature. The most systematic argument to this effect is found in Morton and Knopff’s The Charter Revolution and the Court Party. Unsurprisingly given it is written by Canadian Conservatives, no small hay is made of the fact that Pierre Trudeau was the chief architect of the Charter. Since he shoved it down the throats of Canadians in 1982, the authors maintain that progressive Judges (and their clerks) have used the Charter as a means to achieve what they could not through democratic politics. This includes the legalization of abortion, defending gay rights, and granting significant powers to criminal defendants which make it more difficult to institute a “tough on crime” agenda. They are backed up in this by left-wing interest groups and authors, who provide the Charter revolution with their ideological seal of approval for pushing forward a transformative social agenda unnameable to the public taste. These trendy groups are crucial to validating the Charter, and contribute to its overwhelming (and to Morton and Knopff’s mind’s unwarranted) popularity across the country. Both of these critiques, while emphasizing different specific grievances, come from a relatively similar place. Critics on both the left and right are animated by a belief that, without the Charter and the Supreme Court to stand in their way, democratic polities would be free to become the left wing radicals or staunch Conservatives they so long to be. While critics on the left point to the Supreme Courts’ decisions upholding property rights and clamping down on labour movements as evidence of its bias, critics on the right point to the Courts’ consistently hostile approach towards socially conservative values. But accusing the Court of such systematic bias strikes me as somewhat imbalanced. 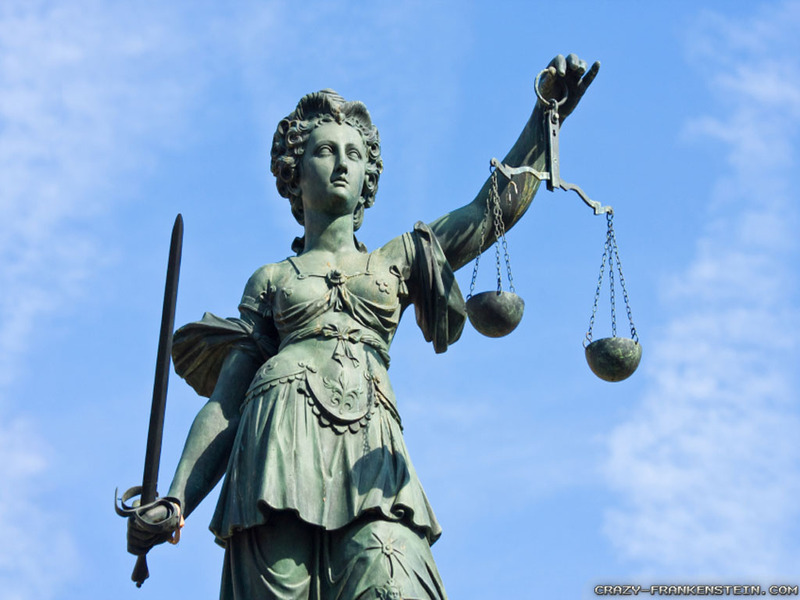 It is based not on an assessment of the fairness of judicial procedures and reasoning, but on an assessment of the political consequences of their decisions. While I am prone to agreeing with critics on the left more than critics on the right on these points, I believe addressing the problems with Courts necessitates arguing more comprehensively for why they should reach one decision over the other given the principles weighed and assessed. As it stands critics on the left and right don’t like the decisions judges reach, and therefore want their power granted to a polity they presume will be more sympathetic to their agenda. Hogg and Bushell therefore believe that, where the legislature can respond in an effective manner to a judicial decision, the relationship between the two can meaningfully be described as a dialogical rather than hierarchical. There are four features that facilitate this dialogue: 1) Section 33 and 2) Section 1 of the Charter, 3) the qualifications given to Sections 7, 8,9, and 12, and finally 4) the guarantee of equality rights under Section 15, which can be satisfied by a number of remedial measures. Because the third and fourth feature relate to the ambiguity inherent in legal interpretation, especially regarding constitutional issues, I shall only briefly discuss them here. A more extensive treatment will come in later sections. Instead I will discuss the first two features, which relate directly to the given powers allocated to the judiciary and the legislature in the Charter. The central narrative of the dialogue theory goes as such. The legislature will pass laws which come under judicial scrutiny. In the event that the Court decides to that a given law is unconstitutional, several options are available. The first is that the legislature can invoke Section 1 of the Charter and maintain that the specific law constitutes a “reasonable limit” which can be “demonstrably justified in a free and democratic society.” In the event that the Court doesn’t swallow this argument and either invalidates part or the whole of a law, or reads in new stipulations, the legislature can respond using different mechanisms. The first and most obvious solution is to employ its legislative powers and draft a new law that evades the Constitutional dilemma but is in substance the same. According to Hogg and Bushell, this is the “normal” response in situations where the Court’s strike down a law. In the authors words “there is usually an alternative law that is available to the legislative body and that enables the legislative purpose to be carried out, albeit by somewhat different means.” It is also where features 3 and 4 are relevant, since the ambiguity of the Charter and its interpretation (according to Hogg and Bushell especially with regard to Sections 7, 8, 9, 12, 15) enable legislatures to read the Court’s decisions in a manner that can suit their agenda. Even if the new law conceived as a response to a judicial decision will likely be struck down on more or less the same legal basis, as many think will be the case, for instance, with the Conservative Government’s prostitution legislation in response to the Court’s decision in Bedford, this can still buy time for the parties involved to rally public opinion to their cause. Finally, if the legislature is myopically fixated on preserving the old law, or is convinced they cannot alter it without facing the same constitutional dilemma, they can also opt to employ the (in)famous Section 33, the Notwithstanding Clause. By so doing, it can shield legislation from revision or invalidation by the judiciary for a period of 4 years, after which the legislation must be reviewed before the Section 33 is invoked again. According to the dialogue theory, there is no tension between allowing the judiciary to interpret the Charter so long as the four features exist which enable the legislature to respond in an effective manner. While Hogg and Bushell concede that there are instances where this is not possible, for instance when the very “objective” of the law is deemed unconstitutional, they feel that these are exceptional moments that don’t reflect the Canadian norm. There is much to be said about this approach, not least of which is that it avoids the occasionally inconsistent arguments offered by both left and right Charter that are often spurred largely by the Court’s refusal to further their particular political objectives. Hogg and Bushell obviously see the Court as a useful social institution that provides an important counterbalance to the more collectively minded objectives pursued by the legislature which occasionally leads democratic bodies to ignore or trample on the rights of individuals. Unfortunately, while they offer abundant practical arguments to maintain that, when all is said and done, there is not much to be concerned about they never provide a principled reason for embracing their “dialogue theory.” Indeed, it is often ambiguous whether Hogg and Bushell wish their readers to understand dialogue theory as an adequate descriptive account of the relationship between the Court and legislatures, or endorse it as a normative approach to reconciling the twin goals of fostering individualism and improving collective welfare. This ambiguity also poses significant problems for their approach since, while they might offer prudential reasons why the status quo is inoffensive, it is unclear how dialogue theory should be understood at a principled level. I believe that we should accept the existence of dialogue between Courts and the legislature so long as a significant amount of power is shifted to the former. In this, I concur with left and right Charter critics who believe the role of the Court should be downgraded. This is not simply because I disagree with the Court’s specific decisions on justice, but because I believe justice demands that the Court not make many of these decisions at all. One might look to Australia for an example. There, the population is responsible for deciding many controversial constitutional questions via referendum. Since 2012, forty-four such referendums have been held, 8 of which have been carried. This obviously would not be a practical solution in all cases, but might well be a more democratic option where the rights debated are widely applicable and any decision might well affect the nation as a whole. The Trudeau government came to power promising democratic reform in Parliament, though we all know how well that turned out. It might be time to ask whether other branches can be democratized as well.